Darpana Academy of Performing Arts, Usmanpura, Ahmedabad. Call 7600001389 for further details. Synopsis: Foreign Body is the beautifully crafted solo show about hope, healing and forgiveness after sexual assault. 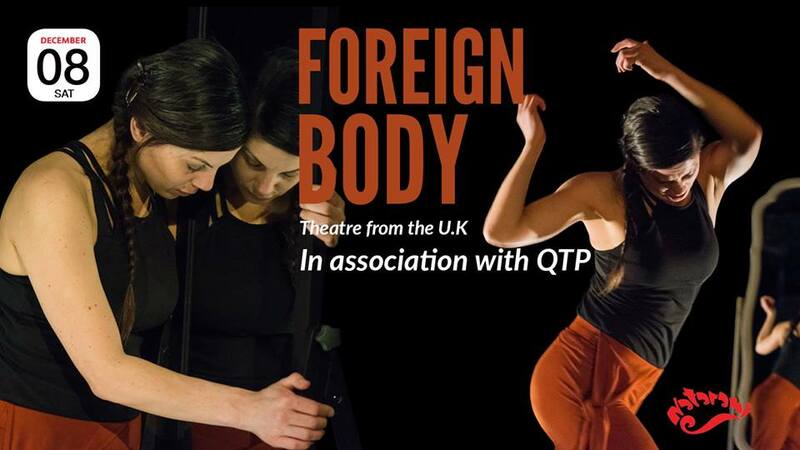 Uniquely told from the perspective of the survivor and perpetrator of the same assault, using a charged combination of verbatim, physical theatre and a stunning original soundtrack, Foreign Body is a brave, liberating and life-affirming story. The play aims to destigmatise dialogue around sexual violence and offers audience members the opportunity to explore the play’s themes through a post-show panel discussion alongside sector specialists.